Service Provided: Contour and box design cementitious fireproofing to structural steel. Dalco By Brand Safway recently obtained the license and training required to apply Pyrocrete Cementitious fireproofing material. 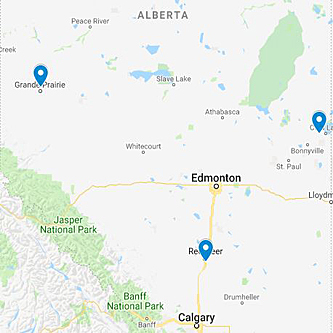 Pyrocrete is widely specified across North America, and the market in Alberta for this application is continuing to increase. Client was adding 2 new exchangers with structural supports to their existing plant. Dalco was first required to cut out the existing fireproofed areas where the new structural members were tying in. Fireproof application to the new horizontal steel members was completed at Dalco’s Red Deer Facility. Once all structural members were installed, Dalco mobilized to the field with a 6 man crew to fireproof the vertical members, as well as the block out connection points. Client provided 5 star reviews on quality, safety and efficient, and will be hiring Dalco back for future cementitious fireproofing requirements.